Five months after its official launch, SQL Server 2008 released to manufacturing today. Microsoft made the announcement this afternoon during a conference call with Ted Kummert, corporate vice president of the data and storage platform division. He touted SQL Server 2008’s out-of-the-box data management and business intelligence capabilities. VARs and customers will also be happy to know that this latest version does not come with a price increase. The release marks the end of a long waiting game. 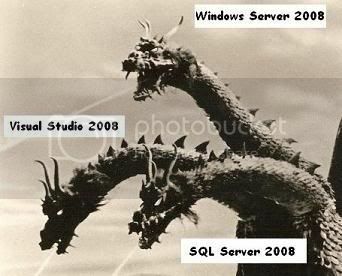 Microsoft had planned to release the three-headed monster of Windows Server 2008, Visual Studio 2008 and SQL Server 2008 by the Feb. 28 “Heroes Happen Here” launch event in Los Angeles. But SQL Server wasn’t ready, and Microsoft said it wouldn’t be until sometime in the third quarter. Then, at last month’s Worldwide Partner Conference in Houston, corporate vice president Bob Kelly said SQL Server would be on Microsoft’s August price list. But that didn’t necessarily mean it would be available in August, so partners were again left wondering when they’d be able to sell it. Now they know. And knowing is half the battle. This is a great article. What's interesting to me, from my experience, is that it took many years AFTER being a SW engineer to develop the rest of the skills in the article. Now, with all the rest of the skills well in hand, I'd be pretty stretch to write code. Perhaps all those skills are more available in an engineering management role that can bridge the gap between the highly technical and the business parts of the organization. Soft skills are important, internal motivation, and desire to learn are probably also useful attributes to look for.